Dione moon in front of Saturn. 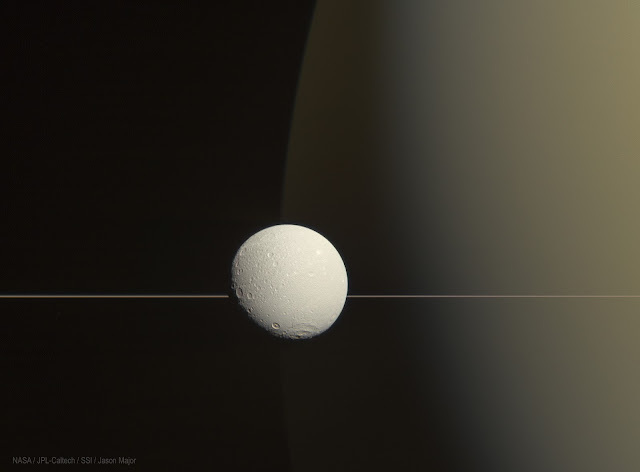 Color-composite of images acquired by NASA's Cassini spacecraft in visible wavelengths on August 17, 2015. Dione is 1123 km (698 miles) across and orbits Saturn at about the same distance that our Moon orbits Earth.